I thought I may have missed something. But no, The Midnight Chase is the first Crucified Barbara album in three years. 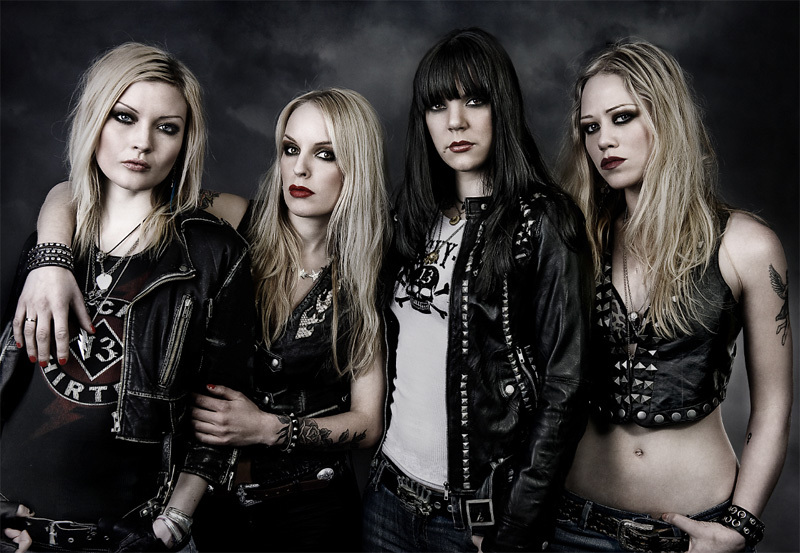 These dark-eyed leather clad gals bring another long player of heavy metal rock. Crucified Barbara: man-eaters, no doubt. Significant from my first spin is the harder, heavier, even raw character of the album. This seems more a metal album than previously; those early punk overtones definitely diminished. Yet the production value is high: the clarity and crispness only emphasizes the that raw feel. It also has the advantage of uplifting the musician ship, especially the rhythm section and specifically Ida Evileye's (aka Ida Stenbacka) bass work. Largely, The Midnight Chase is crossover heavy rock and metal. Good grooves inform a metal edge making the tunes both head-banging and toe-tapping. Generally, they're just damn rowdy and edgy, like Shut Your Mouth, Rules and Bones, or Rock Me Like the Devil. Sometimes these components get some serious accessibility, a friendliness, that could lend a song to a radio single. Rise and Shine might qualify. Generally, all this demonstrates greater maturity from Crucified Barbara which translates into better song writing and better musicianship. These ladies aren't done and that's damn sure. But is it better than Till Death Do Us Party? Let's just say Crucified Barbara is hitting their stride. Recommended. 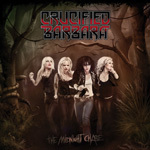 With The Midnight Chase, Crucified Barbara is hitting their stride delivering, once more, rowdy heavy metal rock. Look out boys as these gals are tough enough for you.